Festivus Book Pimping, come on down! Sticking with the current theme, it’s Aussie author time once more. Please welcome to the stage, Brisbane-based novelist, Rowena Cory Daniells! 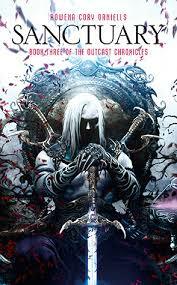 If it’s high fantasy of the darker kind you’re after, then you really can’t go past the The Outcast Chronicles. This series was recommended to me by a friend, and I’ll be forever grateful to him (thanks, Ash!) for putting Daniells work onto my radar. Not only that, but Daniells has become one of my favourite authors – her imagination, creativity and wordsmithing truly dragged me into her worlds. There are three books in the series: Besieged (reviewed here), Exile, and Sanctuary. It’s only now that I’ve realised I haven’t reviewed the other two books in the trilogy, but I absolutely loved the series, the magic, and the characters were so fully-fleshed out they most certainly had to be real. The Outcast Chronicles are told from different view-points, with each of those characters immersing the reader further into the races that make up this world, and how they all interact (sometimes in so not a good way). There’s an honesty in this storytelling – it doesn’t apologise for the violence or barbarity of its ways, or the culture in which those within find themselves, or the rules that oft appear unfair and unkind, but have (so far) managed to keep the peace between all. But the magic, oh, the magic is a beast all its own… for those who have it. There’s a great diversity in the dynamics between the different races, and magic binds some, terrifies others, and also has a class-system all its own. It’s an intricate world Daniells has created, and I think that’s part of the reason I loved this series – there’s always something new to discover, all of which is relevant to the plot and/or story-arcs of the characters. These are books with a good chunk of wordage in them as well (as fantasy books are wont to be), so there’s much meat to sink your teeth into – who doesn’t love a big ol’ book? With the promise of two more big ol’ books to come. These books are seriously good Festivus stocking-stuffers. And if you’re only looking at getting someone a single book, that’s fine. 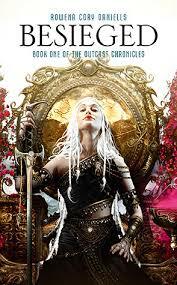 Start with Besieged, then wait for your loved one to demand the rest in the series. Oh, and as a bonus? (And believe me, after finishing the trilogy, the reader will want more.) The Fall of Fair Isle is the omnibus set 600 years before the trilogy (which is on my ‘to read’ mountain). And if all of the above isn’t enough to get you buying her work, Daniells is one hell of a nice lady who happily engages with her readers. 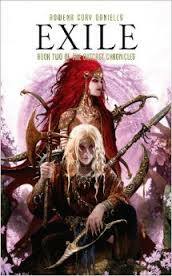 Recommended for those readers who enjoy fantasy, dark fantasy, epics, sagas. Hell, anyone you know will love these books.